Fujitsu is known for building computers and scanners. So when the company asked if I’d be interested in reviewing these high-end speakers, my first reaction was “Fujitsu makes speakers?” As it turns out, the speakers come from Fujitsu Ten, a subsidiary that also builds car-audio and navigation systems and generates revenue in excess of $2 billion a year. Still, the Eclipse TD-M1 Wireless Speaker System is clearly someone’s passion project; they’re unlike any speakers I’ve seen or heard. But passion plus different doesn’t always equal a compelling price/performance ratio. Look at the materials, design, and construction of the Eclipse TD-M1, and you can see why it’s priced at an eye-popping $1300. The resin-based enclosure is egg-shaped to suppress internal standing waves (which can enhance some frequencies while causing others to disappear), and it’s extremely dense to prevent undesirable resonance. The 3.14-inch full-range driver, with a fiberglass cone, practically floats inside this enclosure, with thick pads at the contact points to dampen vibration. This tear-down image from Fujitsu Ten's website exposes the TD-M1 speaker's internal construction. The right-hand base houses the system’s electronics. There’s a 20-watt digital amplifier, a Wi-Fi adapter that’s also compatible with Apple’s AirPlay technology, a Wolfson WM8742 DAC that can handle 24-bit/192kHz sampling rates, and a USB controller that can do the same. 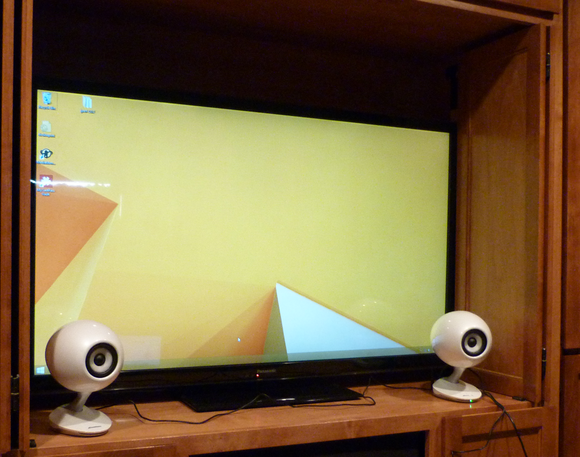 The speakers are ostensibly wireless, but they still need one cable for power and a second to connect the left speaker to the electronics in the right. This three-foot cable is hardwired to the right one, which limits the distance between the two speakers, but that won’t be a big issue in most deployments (unless you’re placing them on either side of a really big TV). 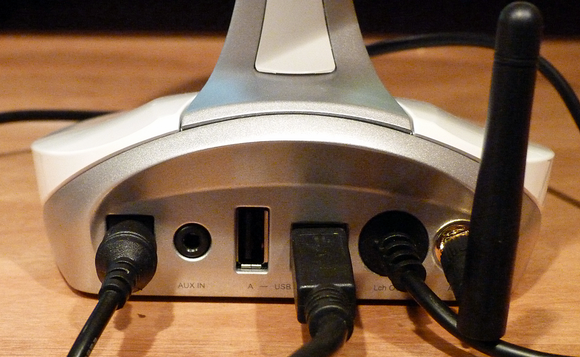 You’ll need additional cables in some other situations, such as using the speakers as a USB audio device. Each speaker is perched on a stalk to further isolate it from its base. Friction levers on each 5.8-pound speaker let you adjust the angle of the enclosure from 0 degrees (horizontal orientation) to plus-10 or plus-20 degrees, so you can angle the speakers up but not down. If you’re nervous about leaving the drivers exposed (small children just love inverting cones by poking them with their fingertips) Fujitsu provides a set of magnetic grills to cover them. Reliance on such a small full-range driver limits the system’s bass response. Fujitsu anticipates nearly any connection scenario can you think of, with inputs on the rear of the right-hand base for analog stereo (1/8-inch Aux), USB Type A (for directly hosting an iOS device), and USB Type B (for connecting to a Mac or PC). The external Wi-Fi antenna mounts here, too. Given all the other hardware, the absence of Bluetooth support surprised me. This limits this system’s utility with Android smartphones and tablets (you could use the analog input, but who wants to tether their handheld device to a speaker?). Fujitsu included every connectivity option you might expect, with the notable exception of Bluetooth (not that I'm a fan of most Bluetooth speakers). Touch-sensitive controls on the right-hand base let you switch input sources and control the volume. There are both up/down buttons and a slider for the latter. A series of multi-colored LEDs below the controls tell you which input is active and the volume level when you adjust it (the volume indicators go out after a few seconds so they’re not distracting). Unless you enjoy deciphering hieroglyphics, download the complete user manual for these speakers before you set them up. The fold-out pamphlet that comes in the box is next to useless. You’ll need to go to Fujitsu’s website anyway to grab the USB driver that’s required to use the system with a PC. You can use AirPlay in either Direct or Wi-Fi mode. Using the latter enables you to access music stored on other devices on your wireless network, while the former doesn’t require you to have a Wi-Fi router at all. I tested the TD-M1 in AirPlay mode with a fifth-generation iPod touch (using AirPlay) and a Windows home-theater PC (using the USB connection and running the Media Monkey media player/organizer). AirPlay automatically converts any track you stream to Apple Lossless, but many of the tracks I listened using my iPod touch were already encoded that way because I sourced them from the Bowers & Wilkins’ Society of Sound music service. Cara Dillon’s voice on “The Lass of Glenshee,” from her Live at the Grand Opera House album, came across absolutely transparent. The speakers distinctly rendered the fiddle, flute, and acoustic guitar backing the folk singer. But the reliance on such a small full-range driver, versus a woofer and tweeter linked to a crossover circuit, limits the system’s bass response. When I switched to Peter Gabriel’s cover of Talking Heads’ “Listening Winds,” from Gabriel’s Scratch My Back album, I found that the system’s performance lacked the acoustic foundation that the bass strings were there to provide. To give you an idea of the size of the TD-M1 speakers, I placed them in front of a 55-inch HDTV. As with the Dillon recording, Gabriel’s voice and the strings and other instruments at higher frequencies came across beautifully, but I wanted to hear more at the bottom. I think a subwoofer would deliver that, but that’s not currently an option with this system—and one worthy of pairing with it could easily double its price tag. 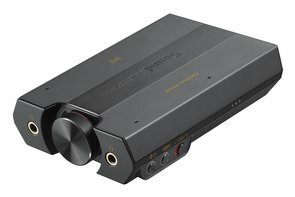 I was also mildly disappointed in the TD-M1’s amplifier. The system couldn’t quite fill my small home theater (12 feet wide, 16 feet deep, with a 9-foot ceiling), so quiet passages in classical music became so soft that I could barely hear them. I’m basing this complaint on the system’s performance with another SoS recording: the London Symphony Orchestra’s recording of Anton Bruckner’s Symphony No. 4, directed by Bernard Haitink). My experience using the system as a USB audio device connected to my home-theater PC was no different. 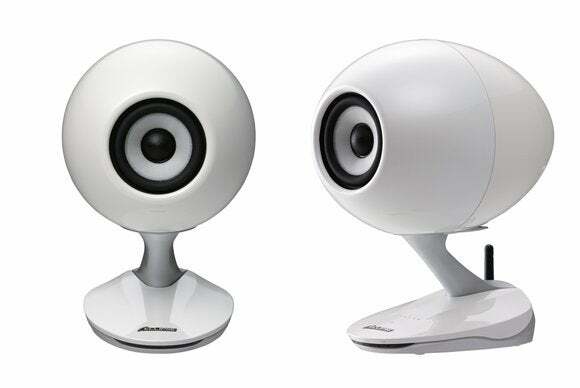 The TD-M1 Wireless Speakers with and without their magnetic grills. The TD-M1 gets plenty loud when you’re sitting up close to the speakers, on the other hand, which makes for a mind-blowing near-field monitoring experience. And its stereo-imaging power is absolutely amazing—it’s almost like listening through headphones. But I’d like it even more if it delivered just a bit more at the low end. If I were an engineer relying on this system to mix tracks, I’d probably end up over-emphasizing the bass and producing muddy recordings. At $1300, Fujitsu’s TD-M1 is a very expensive speaker system. I don’t consider myself an audiophile, but I don’t mind spending a good chunk of change for high-quality audio gear. A lot of new ideas, smart engineering, and high-end components went into this system, but in the final analysis, I just don’t see (or hear) $1300's worth of performance in it. There's a lot to like here, but the TD-M1 needs a more powerful amp and better bass repsonse to fully justify its lofty price tag.